Dr. Khan helps patients in Boyle Heights and throughout the Los Angeles area who have been diagnosed with hypertension and are working to manage their high blood pressure. 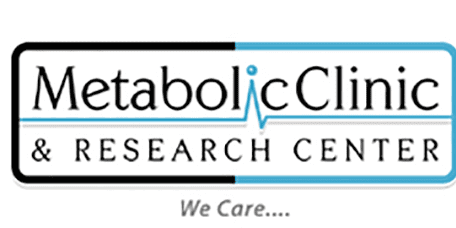 From his practice, the Metabolic Clinic & Research Center, Dr. Khan can provide testing and treatment of high blood pressure for all patients. Hypertension, commonly referred to as high blood pressure, affects billions of people throughout the world and high blood pressure care is a priority at the Metabolic Clinic & Research Center. To better understand hypertension, it is helpful to understand that blood pressure is the force applied to vessels as blood pumps through them. Hypertension is when a person has a higher reading than normal, at or over 140 over 90 mmHg. Blood pressure norms can vary from person to person and what is considered high can fall into a few different ranges. If a person’s blood pressure is higher than 159 over 99 it is considered a more serious type of the condition. What Symptoms Are Observed with High Blood Pressure? What Treatments Are Utilized for High Blood Pressure? Lifestyle and diet changes can significantly impact high blood pressure. Several doctors suggest that their patients reduce the consumptions of salty foods and alcohol as well as increasing the consumption of fruits, vegetables, and low-fat foods. Getting to a healthier weight can also help lower blood pressure. Consistent physical activity can assist with weight loss and lower blood pressure levels. Additionally, patients should stop smoking and ask the physician if any medications they are taking could be raising their blood pressure. If these changes are unsuccessful, medications can be prescribed. The medication which is recommended by the doctor will depend on the person’s unique circumstances and any other medical issues present.